Optimizing products to rank in Amazon's marketplace is very different compared with optimizing for Google, Bing or Yahoo, according to CEO Casey Gauss, 24, cofounded Viral Launch, a 23-person company based in Indianapolis. "Sometimes the specifics on Amazon are counterintuitive to business logic," Gauss said. "Marketers don't realize that recognizable national brands could grow much easier on Amazon if they just put in the same effort that smaller private-label brands do." 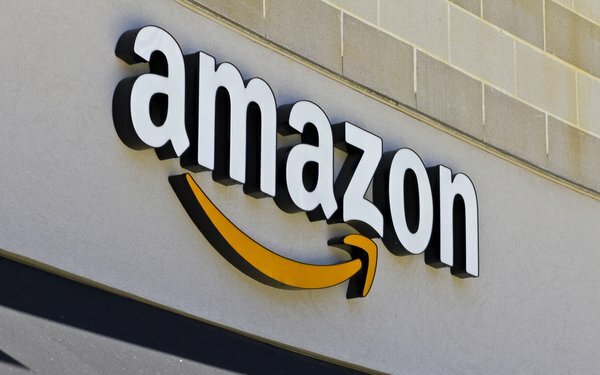 Marketers from major brands typically think their brand power will drive sales on Amazon, so they don't optimize product listings and run campaigns in the marketplace as they would on Google, Bing or Yahoo search engines, he said. Their lack of knowledge and willingness to put in the effort creates a huge opportunity for third-party sellers to come in and dominate the space. The young entrepreneur boasts 16,000 product launches from 3,500 brands, with some experiencing a 250% increase in revenue. A couple of those brands are Fortune 500 companies, he said. According to Feedvisor's State of the Amazon Marketplace 2017 study released Thursday, almost 50% of third-party sellers surveyed said they sell almost exclusively on Amazon, but 59% of them plan to expand elsewhere in 2017. Private-label sales continue to play a strong role on Amazon. Nearly one-third of sellers sell at least some private-label items, and 18% sell private-label items exclusively, per the study. Search on the generic keywords "duffel bag" and the well-known brands like Nike and Samsonite are not the first products in the list to serve up. The first products are from obscure brand that most consumers don't know, but these are companies employing marketers who understand how to optimize product listings for searches in Amazon. They know how to drive keyword ranking and know the nuances of the platform. Here's another tip from Gauss for those optimizing copy in Amazon: Put a colon or a hyphen punctuation mark after the fifth word in the title because it changes the canonical URL for Google, which helps boost rankings in the search engine. Also, depending on some product subcategories, words after a colon on a bulletted point in Amazon are not indexed in Google. So what are some of the other big mistakes that brands make when running and optimizing search campaigns in Amazon? Redundancy in descriptions and weak bulletted points that often serve up at the top of the page with the words "Imported" or "Made in China," Gauss said. He added that there is nothing wrong with products being made in China, but marketers wouldn't add that bulletted point in a sitelink on Google AdWords, so why would they do it on Amazon? Instead, marketers would write "beautiful copy" to let consumers know about the "amazing features" of the product. Keyword stuffing is another tactic used on Amazon. Yes, Amazon allows brands to keyword stuff, whereas Google does not, per Gauss. He said the word "sales" is the largest driver of keyword ranking on Amazon. "It's not nearly as complex as Google," he said. Amazon shoppers are not digging as much into the nuances of what the products are made of if the information isn't readily available. They might look at the reviews and price, but take the readily available information at face value. One thing is certain, he said -- Amazon's ranking algorithm has not yet adapted to consumer behavior. It's still young. If nothing else, being well-optimized on Amazon improves a consumer's perception of the brand.